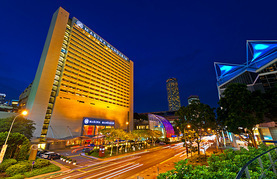 Singapore is known as the ’City in a Garden' as it is surprisingly full of all things green and natural. Take the city bus and find yourself exploring ancient rainforests housing monkeys, or discovering the wetlands filled with lobsters and giant lizards, or visiting farms overflowing with local fruits. Attend Singapore’s zoo or Singapore’s Universal Studios. If shopping is on the agenda, the malls are filled with runway fashion and trendy brands. Beyond the malls you can find dusty antiques, local art or clothing, jewelry and books in Singapore’s neighbourhoods. Singapore is full of mouthwatering flavours and with a flourishing restaurant scene, there is something for all tastes to enjoy.